A&M-Commerce will face Harding on Dec. 7 at Razorback Stadium in Texarkana, Ark. The Texas A&M University-Commerce football team, coming off its first winning season (7-4) in 12 years under new head coach Colby Carthel, has qualified for a postseason bowl game. The Lions will face Harding University of Searcy, Ark., in the inaugural Live United Texarkana Bowl. The game will be played at noon on Sat., Dec. 7 at Razorback Stadium in Texarkana, Ark. Profits made above the expenses will benefit the United Way of Texarkana. Harding, which competes in the Great American Conference, finished the season 8-2. The Lions and the Bison had one common opponent in 2013: Southeastern Oklahoma State. A&M-Commerce defeated Southeastern Oklahoma State 31-29 on Oct. 25 in Durant, Okla. Harding defeated Southeastern Oklahoma State 42-10 on Nov. 2 in Durant. Harding is ranked 10th in NCAA Division II Super Region 3. The Bison are not ranked in the NCAA Division II Top 25, although Harding did receive votes in the current poll, giving the Bison an unofficial ranking of 32nd in the country. The Lions are not ranked in the NCAA Division II Super Region 4 or NCAA Division II national polls. "It is an incredible opportunity to be invited to the Live United Bowl and continue our memorable season," Carthel said. "It's fantastic for these seniors, letting them put the pads on one last time and giving them an opportunity to play in the postseason. It also pays dividends for our program, as it lets us practice for three more weeks. For a young team like this one, it will be a huge boost for the Lions teams of the future. " The bowl berth gives the program its first postseason appearance under the banner of Texas A&M University-Commerce. It is the first trip to the postseason for the Lions since qualifying for the 1995 NCAA Division II playoffs when East Texas State fell to Portland State in the first round. The Texarkana Bowl also marks the first bowl appearance for the Lions since a 7-7 tie against Bethune-Cookman in the 1974 Tangerine Bowl. The program has compiled a 3-0-2 record in bowl games and is 8-4-2 all-time in postseason games. A&M-Commerce's foe will be quite a challenge. Harding, the runners-up in the Great American Conference, run the triple option, similar to Eastern New Mexico, which defeated A&M-Commerce during the regular season. The Bison average 366 rushing yards and 43 points per game. Harding has 10 different players that have rushed for at least 100 yards this season, led by Romo Westbrook's 1,025 yards and 10 touchdowns. The Lions, while recording the school's first winning football season since 2001, knocked off a pair of ranked opponents (Delta State and Tarleton State). 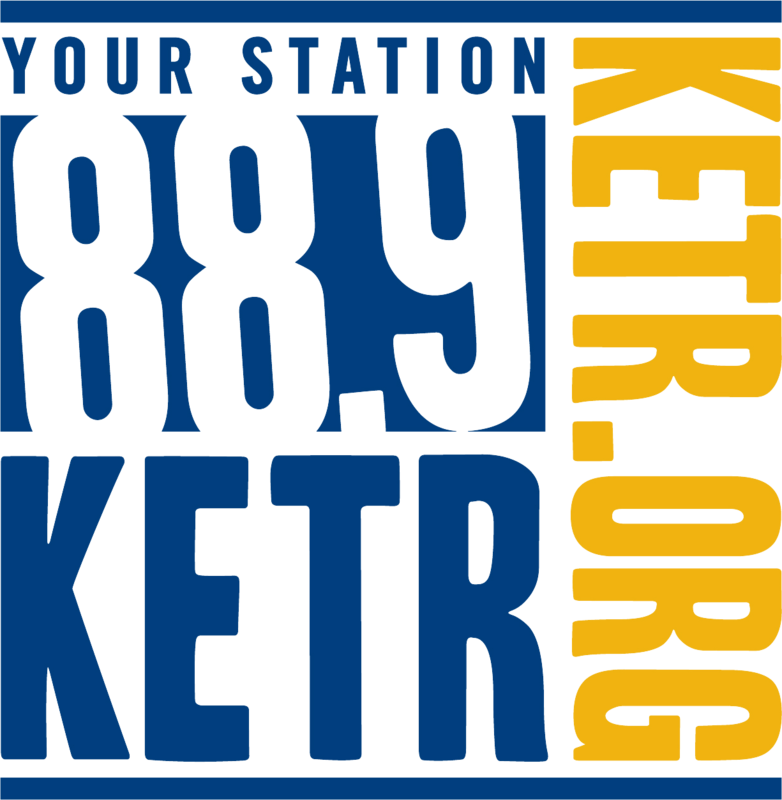 The Lions set a program record for offensive production with 417 points, averaging 37.3 points per game, while holding both the Chennault Cup (awarded to the A&M-Commerce vs. Texas A&M-Kingsville winner) and President's Trophy (awarded to the A&M-Commerce vs. Tarleton State winner) for the first time in program history. 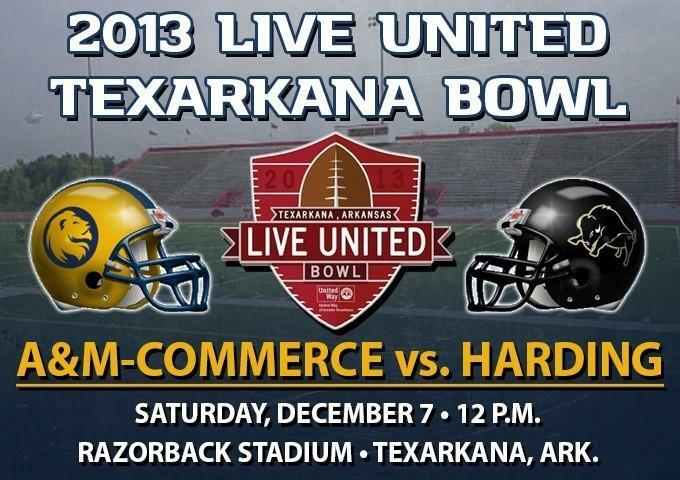 Tickets for the Live United Texarkana Bowl are $6 for adults and $4 for children. A pep rally will be held at 8 p.m. Friday, Dec. 6, at Crossroads Business Park in Texarkana, Ark. * - Two Tangerine Bowls were played in 1958. The first was played on Jan. 1, 1958 at the conclusion of the 1957 season while the second was played on Dec. 27, 1958 at the conclusion of the 1958 season.